1.2 Shree Someshwar Sahakari Sakkare Karkhane Ni. 1.7 4. 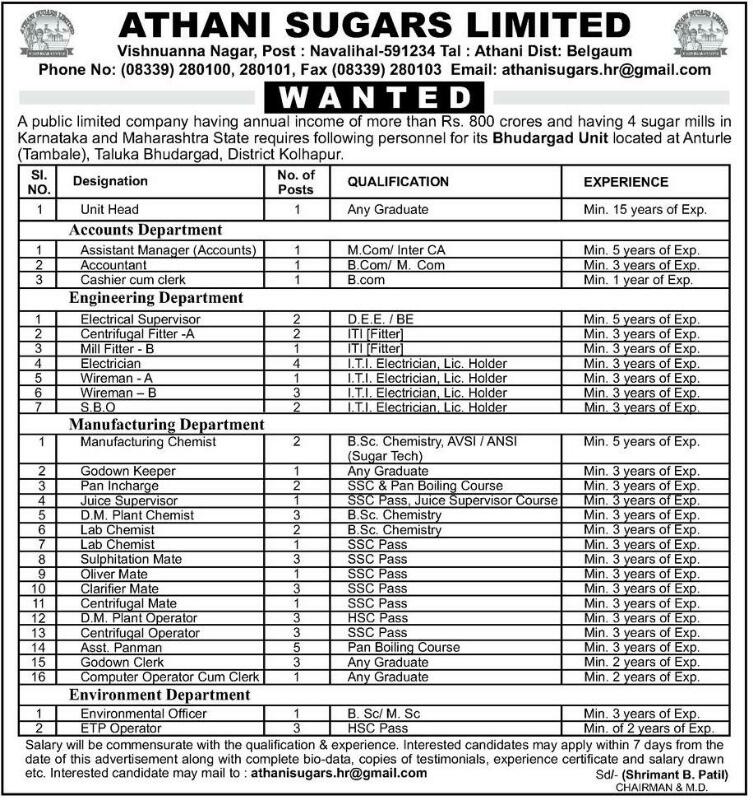 Athani Sugars Limited. Sanjivani Sahakari Sakhar Karkhana Ltd.
Shree Someshwar Sahakari Sakkare Karkhane Ni. About Organization : The crushing capacity of the Sugar division having 3500 TCD. 20 MW Co-generation Plant. 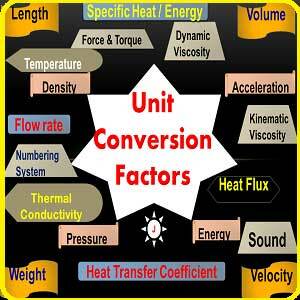 About Organization : The organization had Established in 2010. The crushing capacity of the Sugar division having 5000 TCD. 24 MW Co-generation Plant With 50KLPD distillery. About Organization :Kibos Sugar and Allied Industries Ltd (KSAIL) was incorporated in September, 1999. Kibos Sugar and Allied Industries is located approximately 10kms East of Kisumu, which is the third largest city of Kenya.The sugar factory was commissioned in 2007, a modern with the crushing capcity 4000 TCD greenfield sugar factory at Kibos. The factory produces both white and brown sugar packaged and sold as Star Sugar. 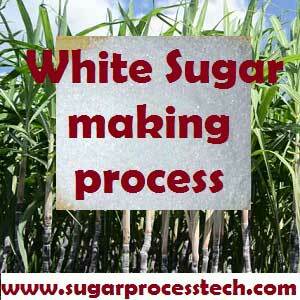 About Organization : Athani Sugars Limited, is an integrated sugar manufacturing industry in India. Its allied business consists of producing and marketing of Alcohol & Ethanol, generation and selling of power and also manufacturing and marketing of organic manure. Company has two sugar factories located in Karnataka (Belgaum) and Maharashtra (Kolhapur) having an total crushing capacity of 13,000 tons per day. 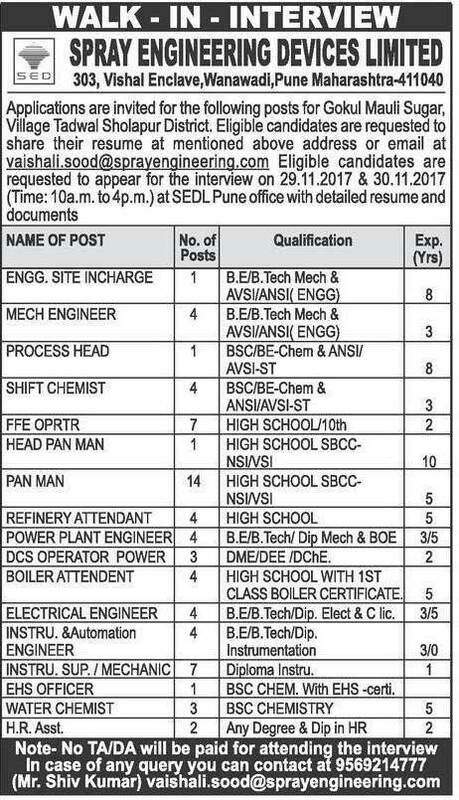 Requirement of Posts in Department Wise: Accounts Department, Engineering Department, Manufacturing Department, Environmental Department. I am 10 year experienced sugar technologist. 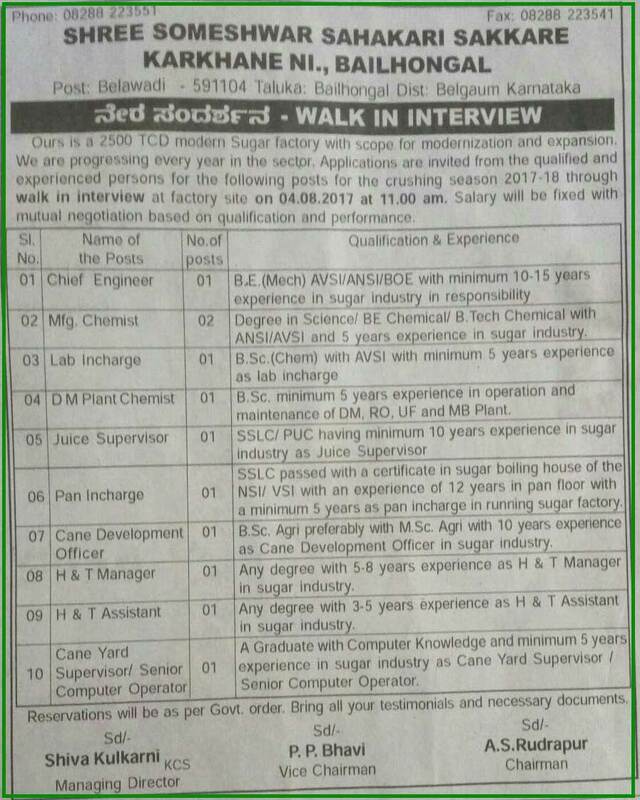 Now working in Gem Sugars Ltd Bagalkot Karnataka as a deputy manager process from last 6 year. My contact number is 9845250217, 9108389561. If any openings please contact. I have working in panman at Fiji sugar Corp,Fiji.l will trying any other sugar industries job.my contact number +919444845507. i am Electrical forman in Raj Agro Ethiopia from 2016 , before Electrical officer in simbhaoli sugar simbhaoli India from 2000—2016. 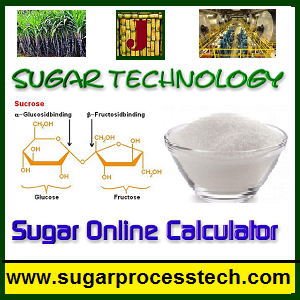 It is not a sugar company> It is purely knowledge based website. Can you please furnish mail id of your sugar company? 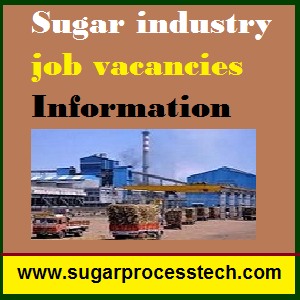 Iam having 33 years experience in sugar industry. Looking for job change for unit head. I have more than 30 years experience in sugar factory maintenance . 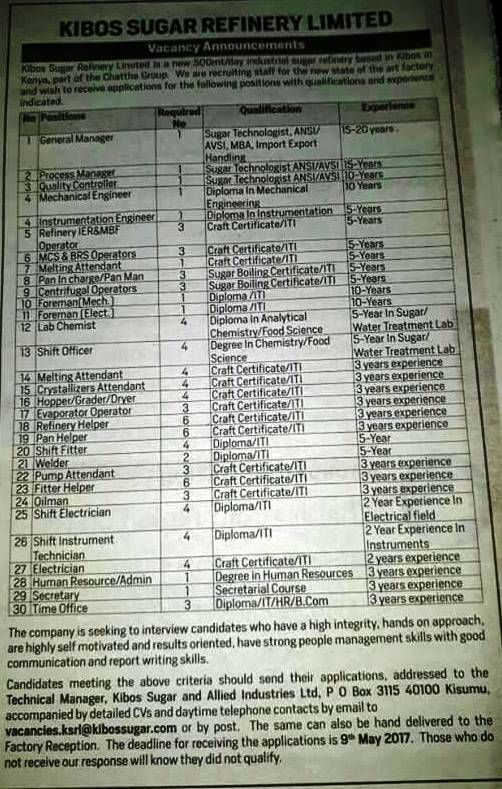 Looking for job as Head Engineering and Maintenance. 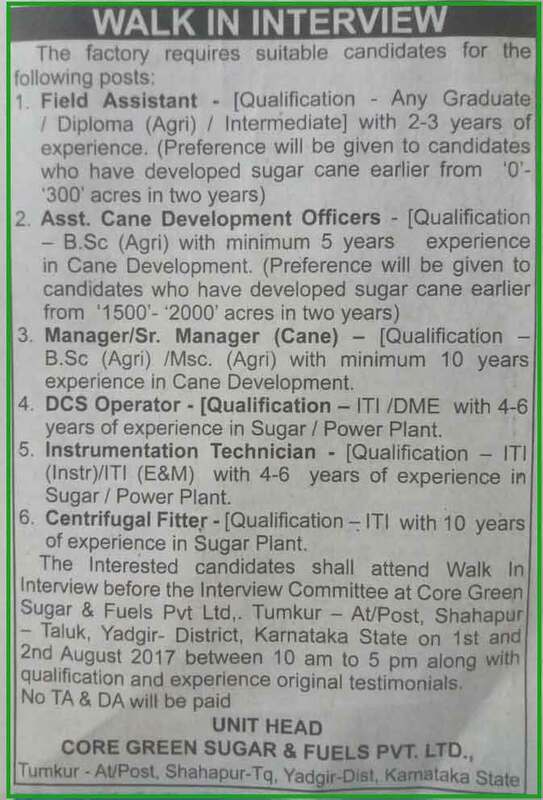 I have 2 year experience in sugar industry as AE. 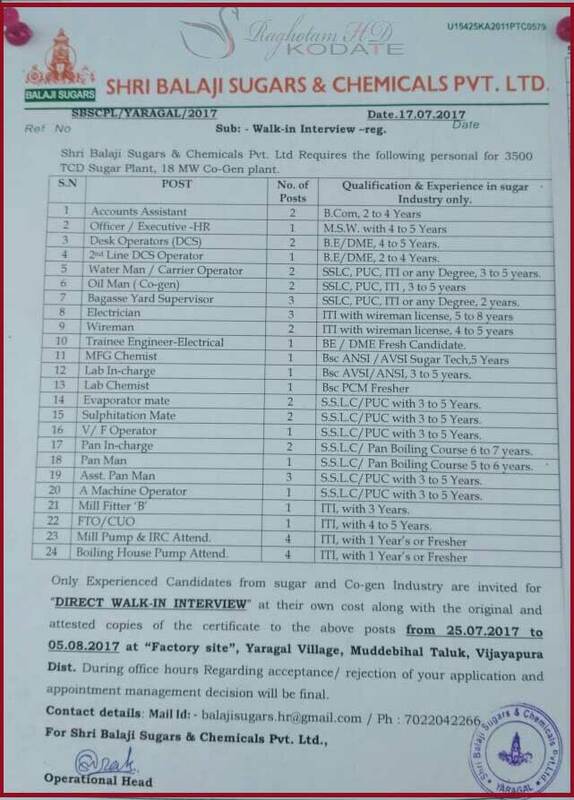 I am currently working in HPCL BIO FURL LTD.
Now seeking opportunity to change location from Maharashtra to Karnataka nearby Kolhapur also. 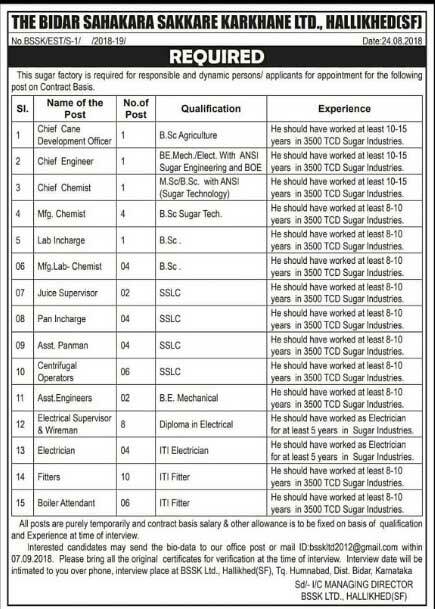 I am having experience of16 years in sugar industry as boiling house fitter kindly look for said post my mobile no is9901121434. 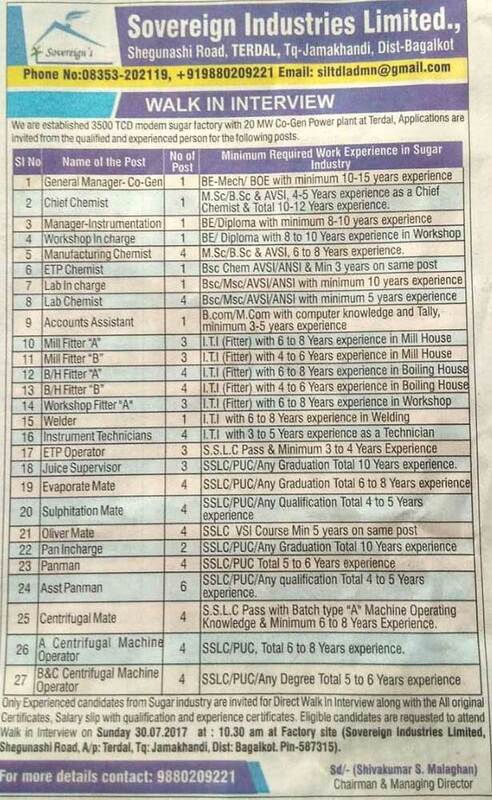 Looking for job as assistant e gineer and Maintenance.